At their final seminar in Yeshiva University’s Center for the Jewish Future (CJF) Certificate Program in Experiential Jewish Education, 21 educators from across the map in every sense—geographically, denominationally and generationally—reflected on their own spiritual journeys and backgrounds in an attempt to answer these questions: What influences Jewish identity and engagement? And how, as educators, could they create positive experiences and lasting impact for others in those areas? “We need to be focused on the whole sense of individual journeys, which call for different questions and measures of success,” Shuki Taylor, the program’s director, told the group. Those kinds of questions and measures are at the heart of the Certificate Program. Now graduating its second cohort and inaugurating a third, it is one of the few professional programs to focus on the unique role experiential Jewish education plays in the transmission of Jewish values and traditions—and to arm practitioners with research, methodology and skills to increase their effectiveness on the job. 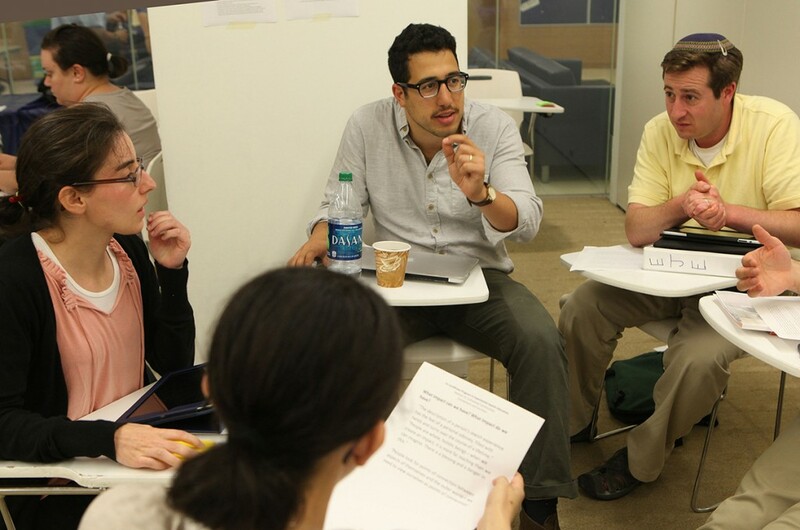 The Certificate Program is divided into four modular seminars over the course of a year which focus on the foundational theories and practical applications of experiential Jewish education. Titled “Imparting Values,” “Creating Experiences,” “Cultivating Communities,” and “Self Development,” the seminars model experiential learning themselves to provide participants with new tools and ideas they can implement in their own programs. They also offer an important and not-often-heard message in the field of experiential education: content first. 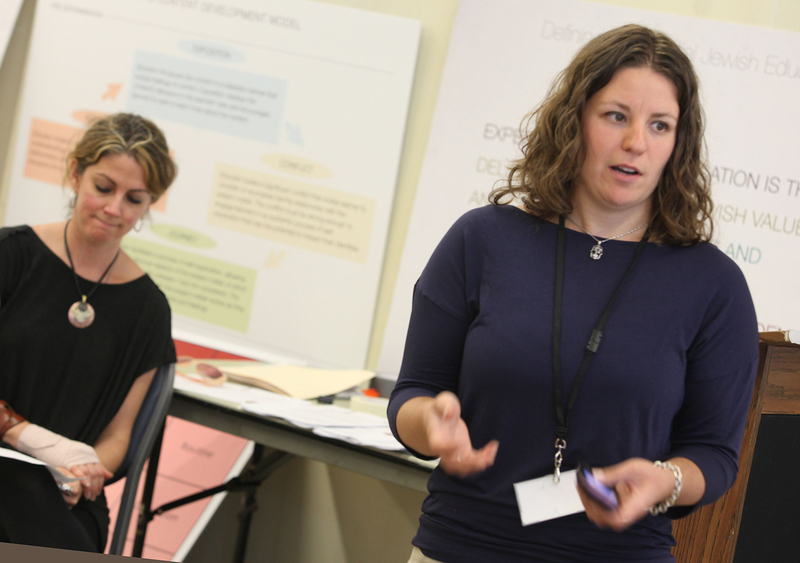 One of the Certificate Program’s initial goals was to lengthen the typical three-year career trajectory of experiential Jewish education professionals, something Taylor is already witnessing. “We’ve seen a huge amount of promotions among our participants and graduates,” he said. “People who were program directors are now directors of their department, people who were assistant rabbis are now rabbis of their own shuls. Others have found more senior positions in different organizations, and still others have successfully secured Wexner, Greenspon and Tikvah Fellowships.” According to Taylor, the program is facilitating these positive transitions by not only giving participants more methodologically-sound tools, but also opening doors to opportunities they may not have realized existed. “Our program enables these professionals to focus on their strengths, understand what they’re great at and build on that,” he said. A recent graduate of Cohort II, Rabbi Michael Davies, will be transitioning from an associate rabbinic position in California to a senior rabbinic position with Congregation Dor Tikvah in Charleston, SC. “Having gone through the program, I have a better sense of the underlying science of education and the formation of Jewish identity, and I see it throughout my work – in preparing and giving drashot [sermons], in weekly classes andshiurim, in leadership training with teens in and out of the classroom and so much more,” he said. YU’s Certificate Program in Experiential Jewish Education is made possible with generous support from the Jim Joseph Foundation.